Mostly If you’re like most bloggers, one of your New Year’s resolutions in 2019 was undoubtedly to get more traffic in 2019. Now, three months into the new year, you’re probably looking at your Google Analytics report and wondering: why is my traffic growth flat? You’re not the only one. Countless bloggers around the world are asking themselves the same question. The truth is that increasing traffic in 2019 requires a very different approach than it did in, say, 2015. The state of marketing has changed drastically in the last few years. The tactics that were rock solid in 2015 barely make a dent in your traffic today. 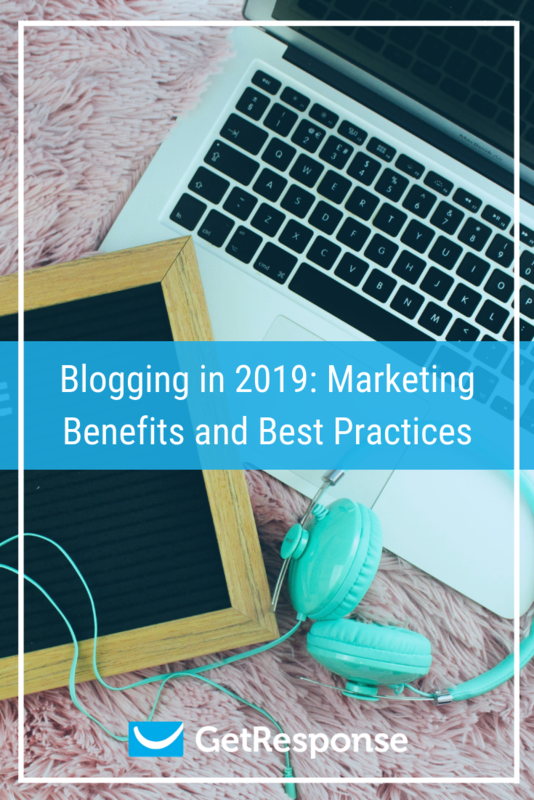 To increase your blog traffic in 2019, you need to adopt newer, more advanced marketing tactics. Use these tips to grow your traffic this year and beyond. If you’ve been blogging for a while, you probably live by a single mantra: produce more content, publish it often. While this adage stood the test of time for eons (or two decades in SEO years), it doesn’t hold much water anymore. Recall that is to “organize the world’s information and make it universally accessible”. To this effect, it wants to minimize the amount of time a user spends trying to find the right result. Which is why you see Google serving answers to so many search queries directly on the results page, instead of driving people to another website. So when someone searches for a query like “design resources”, Google doesn’t want the user to spend minutes jumping from one site to another. Instead, it wants to direct them to a single source that can potentially list all the design resources they might need. In practice, this means writing fewer but more authoritative articles. Instead of creating 10 similar keyword-focused pieces, write a single article that covers all the 10 keywords in a single article. In fact, research shows that longer content also ranks better, attracts more backlinks, and drives more shares. As an experienced blogger, you likely have a vast archive of published content. Some of this content might have been cutting edge five years ago but is outdated today. As a result, you get hardly any traffic to these pages, if at all. Update it: For content that is doing relatively well (i.e. ranks between pages 2 and 5 for its target keyword), your best bet is to update the content with fresh information. You can add images, pad out content to include new information, embed videos, etc. to make the content more relevant and valuable. Delete it: Content that is under 300 words in length and doesn’t rank anywhere close to the first 5 pages should be deleted. This content adds little to no value to your site. In fact, it sends a negative signal to Google that your site has poor quality, outdated and “thin” content. This can potentially harm your SEO. Redirect it: If you have a lot of short and low-quality articles on a single topic, it might be smarter to redirect them all to a longer, detailed article on the same topic. This way, you drive authority to the longer article and give readers a better experience. For example, we updated one of our older articles on the Workamajig blog with fresh content. Within weeks of doing that, our weekly traffic started going up, eventually reaching nearly 10x as many people as it did earlier. If you wanted to learn how to ride a skateboard, would you rather read an article about it or watch a video? Most of you will probably go for a video. Google thinks so too. If you search for “how to ride a skateboard”, you’ll find that the first few results are dominated by videos. You might spend 50 hours creating a highly detailed article on riding a skateboard, but you’ll never be able to dislodge these videos from the #1 spot. User-intent: Is this keyword related to something commercial? If yes, how can I take advantage of it to monetize my blog? Search-intent: Is this keyword better served with a video? Or would people prefer to read about it? Depth: Would a reader rather get an answer to this question immediately? Or would they prefer to get a more detailed understanding of the topic through visuals and background research? Your goal should be to map your content to the keyword-type. Don’t write 10,000 word blog posts for topics that need video results. And don’t create videos for topics that are better served by an image. Marketing automation used to be expensive to buy and complicated to run. In fact, that the only reason they don’t use marketing automation more is because it is “difficult”. 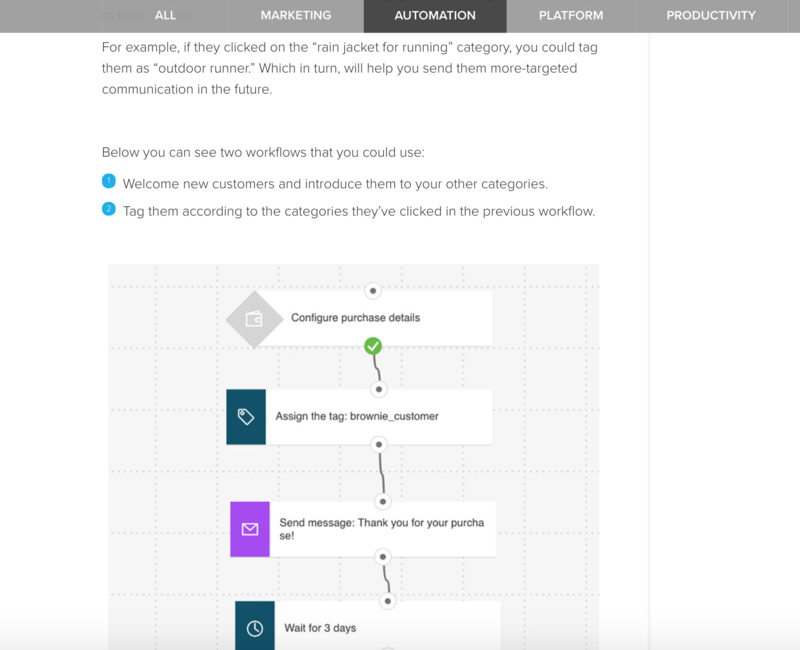 But things are changing fast in the marketing automation landscape. Any blogger can run simple automated email marketing campaigns for just a few dollars a month. It will familiarize readers with your brand, making it easier for you to sell them anything in the future. It will help you segment your readers into more targeted categories. You can then use these segments to send them better targeted offers. -Readers who want your suggestions on the right kitchen equipment to buy. You can easily create an automated email marketing “funnel” where you send subscribers content related to either of the above two topics. Readers who choose topic #1 automatically get funneled into a “recipes” segment. Those who chose topic #2 get sent to a “buying advice” segment. The best way to collect email addresses in 2019 remains the humble content upgrade. This is a tactic where you offer some downloadable content that “upgrades” the content the reader is currently reading. This downloadable content doesn’t have to be complex. As long as it adds relevant value to the content they’re reading, most people will be happy to exchange their email addresses for it. For example, this music blog has a list of websites that accept music submissions. However, the on-page table is difficult to read. So the blog offers a downloadable “upgrade” which is nothing but the list of blogs in an Excel spreadsheet. This content upgrade is trivially easy to create, yet it lures in readers because it offers the on-page content in a more palatable format. Blogging success in 2019 is harder than ever. There is more content being produced today than ever. If you want to win traffic and readers, you will have to eschew old-school marketing practices. Ditch the dogma you learned earlier. Instead, adopt one of these four advanced marketing tactics to make 2019 your best traffic year ever. Jeff Sullivan is a content marketing manager for , a leading management system for the world’s top agencies. When not helping agencies scale their growth, he can be found fiddling with his guitar or waiting for surfing season to start. Do you have your own blog? Do you know what to write about in the next blog post? If you have an idea, that’s great, but not all of us know exactly where to find inspiration and write something powerful. That’s why you need some great solutions that will help you create great blog content. Here are the best tips. The best . It’s an ultimate truth that applies to all types of creation, no matter if it is a great article or a blog post. You need to read a lot if you want to be inspired. Once you read about the exact subject, you do not only collect more knowledge about the subject, but you also stimulate your own natural process of thinking, and that is where your ideas come from. Reading and creation go hand in hand, and that’s why you need to read the inspiring content if you want to create even more inspiring blog posts. You may be noticing that preparation and planning are crucial for making a good blog topic. It is not a wonder why so many bloggers have the lists of blog content topics that will serve them well in future work. They all apply the same rules. When you come up with good topic ideas write them down, because these will serve you in the future blog posts. Write down every single idea and make a decent collection of the ideas for your blog posts. Next time when you are short on ideas, just turn to your list and find the new inspiration. Use this power of social media and create your own perspective. Your audience will certainly like to hear your side of the story about some popular news. Your perspective is what leaves an impact among your public. That is where your creativity comes to light and that is where you are able to test what really works with your readers and what affects them. If you are able to offer them something unique out of all kinds of social media news, you are on a good path to becoming a person of influence. Content marketing is more than simply putting words together. It is a marketing orientation that promotes your blog and gives you more credibility in the world of influencers. You could be the next big thing if you use content marketing in the right way. Go on Google and type in the search box “How to use content marketing for blogs”. The results could give you a very broad perspective on how to use this kind of marketing for your blog. It is all about using keywords, phrases, content structure, and unique style. You must learn all of this stuff if you want to really push your blog forward. If you are stuck in the middle of the journey, you can always ask for help. There are numerous services online that will help you with idea generation. These services offer the assistance of the professional writers who have the ability to make your content stand out from the rest. It is always a good choice to ask for help, especially when you need some fresh idea and a new perspective. We know how difficult could be then you want to come up with some great blog post ideas. Fortunately, the mentioned solutions can hugely affect your ability to create a great blog post. Use the social media when you want to know what is trending, search for content marketing solutions when you want to organize your mind the right way, or turn to a professional when you need help from approved writers. All of these should be accompanied with your daily habits. Those are reading and writing down the ideas when they arise. When you combine all these aspects, you are on a great way of writing a post that leaves a real impact on your public. Social media, instant messaging, chatbots, and programmatic advertising have changed the digital marketing landscape. A generation of consumers has grown up with mobile devices in their pockets, changing the way they interact online. , students born between 2005 and 2015, rarely sit in front of a desktop for extended research sessions when they’re seeking information about products and services. They search from different devices across multiple platforms throughout the day to learn, to compare, to ask questions and to buy. In this environment, email seems old fashioned, an outdated marketing method, yet email marketing spending in the U.S. is expected to reach a high of in 2019. Although email is the oldest form of digital marketing, it remains a vital component of a marketing strategy. Carefully crafted messages sent to the right consumer at the right time can further marketing goals better than targeted paid advertisements. Emails have a more personal appeal than broadcasted social media content and banner ads, and email is read in a less distracting environment than other media messages. Blasting the same email message to every address in your database is a waste of resources, and will annoy many recipients. But, targeted emails, as part of a multi-faceted recruitment campaign, will bring results. Follow these strategies to fine-tune your email marketing to build your institution’s brand and increase enrollment numbers. Your database of email addresses comes from a wide range of potential students, their parents, high school guidance counselors and others that have responded, at some point, to an outreach campaign. You may have collected some addresses through a landing page offering financial aid information, or a user may have entered an email address to download a PDF outlining your engineering programs. While you may begin with little data on the people at the other end of an email address, you’ll collect data about who they are and what they need as they respond, or don’t respond, to your email messages. Segmenting your list based on the data points you collect makes it possible to target prospects with marketing messages they’ll find most useful. This, in turn, will increase click-through rates and conversions. For example, you may choose to segment your master list into demographics such as age, financial situation, and geographical location. Further segmenting by demonstrated interests, such as field of study or specific campus social activities, will ensure you’re sending the right message to the right person. Prospective students travel a path from initial curiosity about college study to filling out admission paperwork. Create a map of this path and create content to meet your prospects’ needs at each point along the way. The data you gather as you interact with prospects, through email CTAs, social media, and by tracking their activity on your website, will inform you of where they are on the buyer’s journey. Then, you can send content tagged to meet that specific point. A student in the awareness stage of a journey may not be ready for an invitation to meet with an admissions advisor, while general information about degree programs and student life would be welcome. The email subject line prompts the recipient to either open or delete a message. For a positive response, keep the subject short and to the point. Consumers have become cynical about advertising, so avoid hyperbole and language that sounds like a sales pitch. Be sure your email content delivers what the subject line promised. Few recipients will tolerate misleading subject lines, and your next message may be marked as spam. The human brain is wired to respond to narrative. A story reaches people on an emotional level. Stories are memorable; they leave an impression. Craft your email messages with this in mind. Sales pitches and trite claims – “Make friendships that last a lifetime” – are quickly passed over as a recipient scans an email text. Prospective students will engage with detail-rich stories that help them make a connection between their self-concept and your institution. For example, a campaign to introduce campus life should include concrete examples of co-curricular activities, the local social scene, and cultural offerings. Review the analytics for your website and social media platforms. What are your most popular pages and posts? These will be good email topics as well. Reinforce your message, and build your institution’s image, with testimonials and case studies that profile current students and alumni. Speak in a voice that will resonate best with your target market (professional advice is influential in some cultures; others will respond better to recommendations from peers) and keep a consistent voice throughout all campaigns. Prospective students want to feel they are interacting with humans, not a marketing campaign. Email does not have to be solid text. Gen Z has been raised in a culture of multi-media learning and responds to powerful visual cues. Thought-provoking images and entertaining videos are effective ways to promote programs, introduce members of the school community and demonstrate that your institution engages in the newest technologies. Consider the impact that a virtual reality tour of dorm rooms will have in an email outlining housing options or a 360-degree photo of a state-of-the-art science lab for prospects contemplating study in the sciences. Many in your target demographic began using smartphones and connected tablets as elementary school students. Mobile devices are their first choice when it comes to interacting with the digital world, and they will check their email throughout the day from a cell phone. It’s critical that your email messages display correctly if you expect recipients to read them. Identify which devices are popular with your target market and select responsive email templates that will provide the best possible user experience. You’re only a tap away from communicating with potential enrollees; don’t frustrate them with a poorly designed template. From the initial “thank you for subscribing” message to well-timed offers, event announcements, and informational content, engage prospective enrollees using marketing automation software. Identify points along a student’s decision-making process to target and create email messages that answer questions, address pain points, arouse curiosity and encourage further engagement. Recipient actions, such as following an embedded link or viewing a video, will trigger the next logical step on their path of inquiry. Data collected as people engage with, or disregard, your communications, can be used to further segment your database, increasing click-through rates and moving a prospect closer to enrollment. An email list, to be cost-efficient, requires maintenance. Bad addresses, unsubscribers and inactive recipients are a drain on resources and put your email messages in danger of being labeled as spam by ISPs. A bounced email means the address is invalid, and it should be removed from your database. Either the subscriber entered the address incorrectly or the account was closed. Monitor unsubscribers as they provide useful data on the effectiveness of your targeting. Which emails are prompting subscribers to leave? Are you sending too often? Does your frequency need adjusting? Recipients that don’t open your emails, or open them but don’t take the desired action, may need a reengagement email. A simple “update your contact information” request may be enough. Other ways to reengage subscribers is to send surveys or offer premium content such as an eBook outlining financial aid opportunities. If a subscriber fails to reengage after one or two reengagement efforts, it may be time to remove the address from your database. An integrated online marketing platform can simplify these strategies, streamline your email marketing, and accelerate your recruitment campaigns. Contact our to learn more about tools for creating engaging email messages, managing email lists and automating email delivery.